I’m pleased to be exhibiting at the Artisan Sale at One Colorado in Pasadena, CA on May 4, 2019 from 10 am to 3 pm with Textile Arts Los Angeles. Stop by to see hand-dyed and hand-stitched home accessories and some exclusive new gifts in time for Mother’s Day. Hello! I'm happy to share my work with you. I'm a student of textile techniques from around the world. 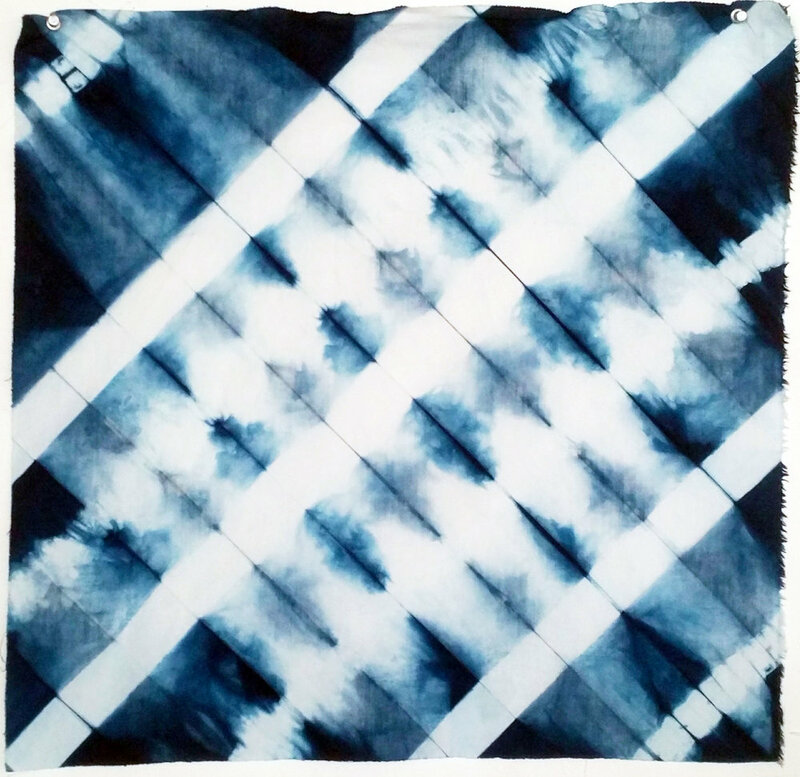 I use plant and mineral based dyes and pigments to color textiles blending traditional and contemporary techniques. I cut and stitch (by machine and by hand) the fabrics I create to make functional and decorative homewares that add color and style to your environment. I welcome custom projects and collaborations. Drop me a line of you're inspired by what you see and want to learn more. Would you like to purchase fabrics, pillows and such that feature my designs? Have a look here. Would you like to read my blog and learn about my art-making and design work? Click. 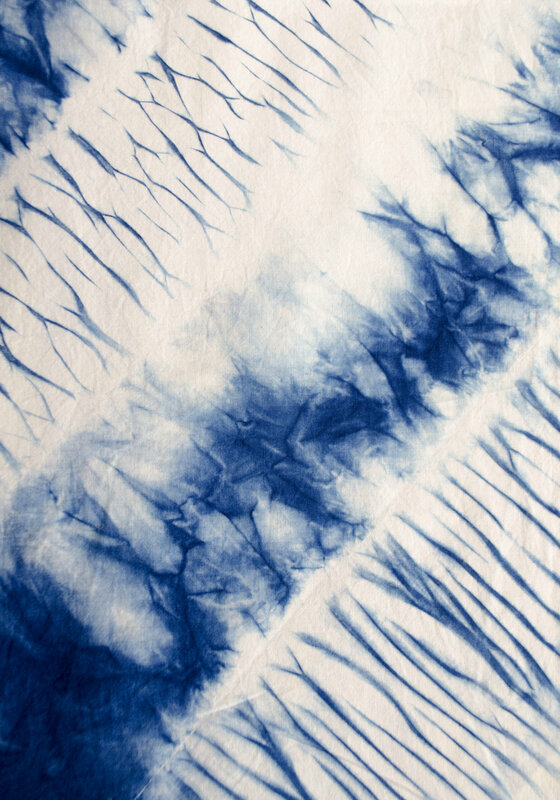 Would you like to join one of my upcoming workshops to learn to dye, stitch and make? This is the spot. These are some quick snaps, unedited, that show what I’ve been up to recently. 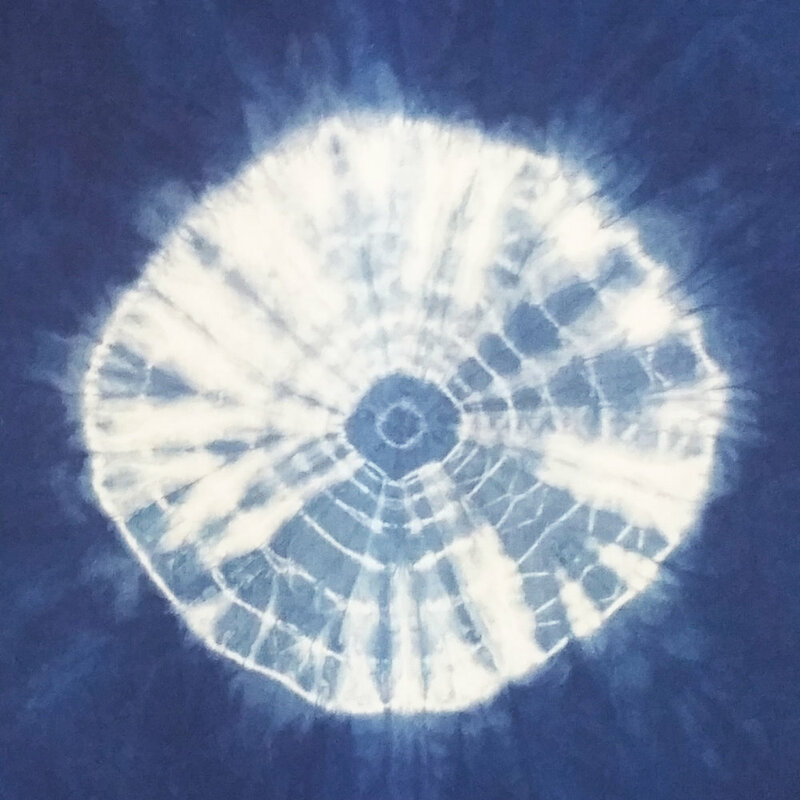 100% linen fabric was stitched before dipping in my vat of USA grown and processed indigo. A fragment of cotton voile was hand-stitched onto the front of the cushion using thread that bound the fabric. Cover inexpensive composition books with hand dyed or printed and dyed fabric. One fat quarter will cover a journal. Would you like to hear from me occasionally (usually about once a month) about new pattern collections, projects and promotions? This is the place to let me know. Thanks! You'll be hearing from me.